Home » Features » 7 Gluten Free Valentine’s Day Gifts, Plus Win a Gluten-Free Bakery Course Worth £120! It’s already the time of year when constant adverts and commercials remind us to show our love for our nearest and dearest by spending money on them. Hopefully your appreciation is shown on more than one day a year but if your relationship is anything like mine, a happy partner equals a peaceful life! And anyway, with January typically a month of cutbacks and the imminent arrival of lent signalling sacrifices for many, Valentine’s Day offers a perfect window to indulge yourself and your partner. Why not please yours with something a bit more meaningful than a bunch of flowers this Valentine’s day and choose from our seven excellent free-from gifts below? Remember to read to the bottom for your chance of winning a gluten-free baking class worth £120! 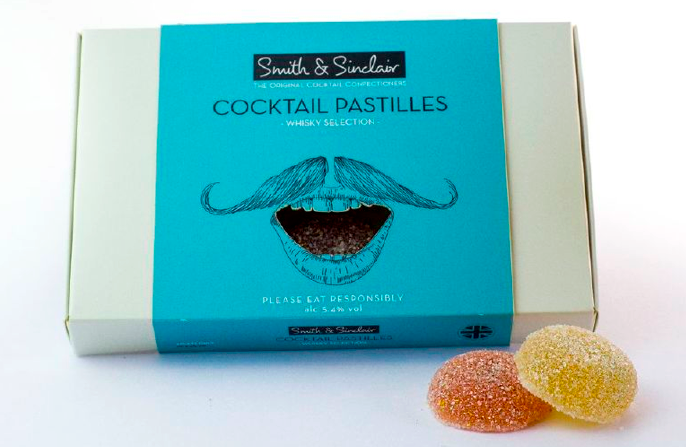 Featuring on this week’s news round up, Smith & Sinclair are selling their whiskey, rum and gin based confectionary at a pop-up stall in Old Street station up until Valentine’s day, but if you’re unable to get yourself down to Old Street before then, they can be purchased at Harvey Nichols across the UK, Selfridges, London Borough Wines, Fenwicks Bond St & Not on the High Street. Usually retailing from £8.95 for a box of six, they will be available at discounted rates at the Old Street pop-up. Ruby’s story is an inspiring example to us all. Growing up dairy and egg intolerant, Ruby didn’t let her allergies get in the way of her love of baking. Quite the opposite; they actually increased her passion and flair to make innovative “works of art” that could be enjoyed by all and she can now be found in Greenwich Market, running an award winning vegan patisserie. For Valentine’s Day choose from her array of sumptuous cakes, (all of which can be produced wheat, gluten and sugar free) including the stunning Red Velvet Cake, or her Fudgy Peanut Butter Cup Layer Cake, recently featuring in Timeout’s Best Cakes in London feature. Ruby’s appears at Greenwich Market on Saturdays and Sundays from 10am – 5.30pm, and their many offerings can also be purchased online. 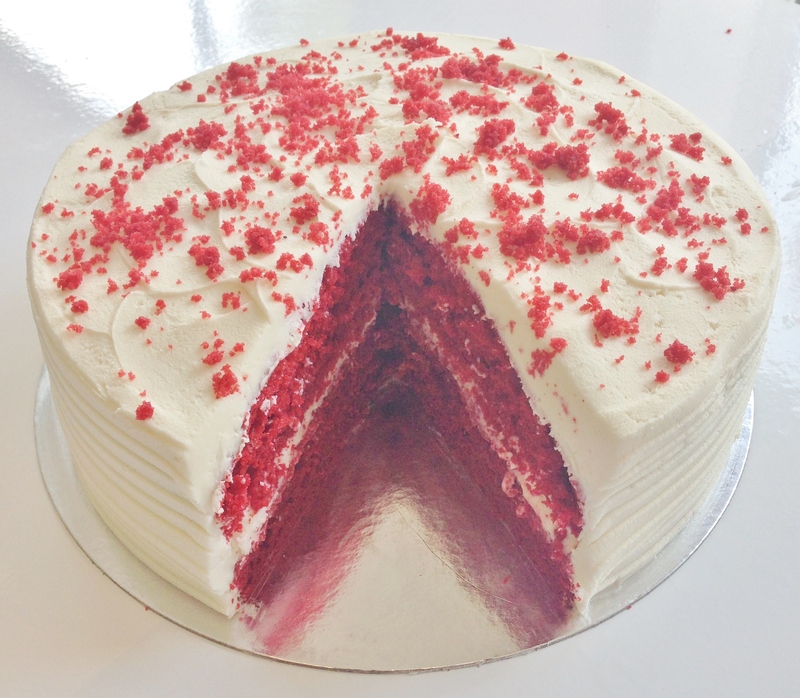 An 8” gluten & wheat free Red Velvet Cake can be purchased for £55, and 12 gluten & wheat free cupcakes will set you back £38. Audrey Cadostin’s delicious gluten and dairy free Ganache Macaron acts as a showcase for her creativity and her miniature meringue based creations are very much in vogue at the moment, having appeared on Made in Chelsea and in decorative pieces in collaboration with various London-based designers. Hailing from the city of love, London-based Parisian Audrey might be expected to have a few Valentine’s Day tricks up her sleeve, and she certainly doesn’t disappoint this year. 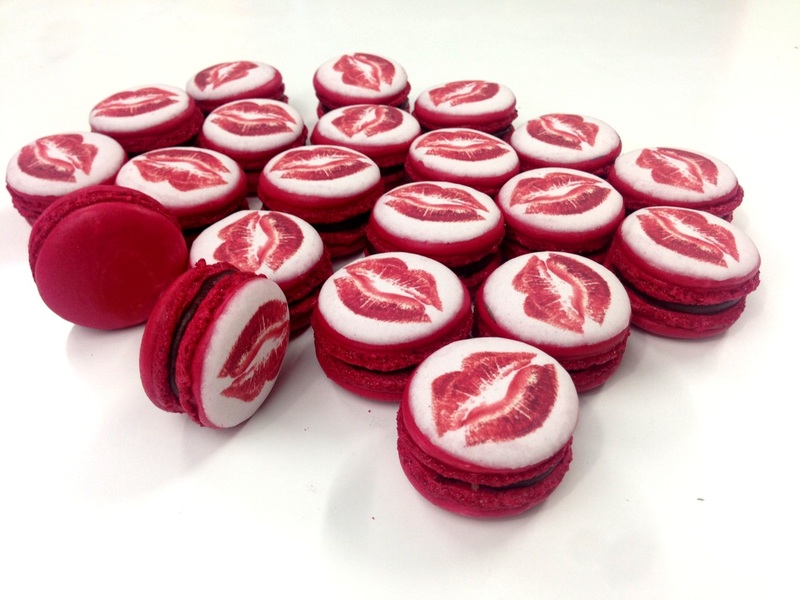 You can now produce your own unique pieces and impress your loved one with your own personalised macarons, which (believe me) taste even better than they look! Simply choose the colour and flavour of your macarons, send your design, message or photo across and Ganache Macaron will do the rest. The personalised macarons and each of their other offerings can be purchased online at hubbub, with flavours including dark chocolate, salted caramel and passion fruit. A box of 6 personalised macarons will set you back £14.70. Not a huge price to pay for a beautiful and truly unique Valentine’s gift. Did we mention they taste good too? Ah, Hotel Chocolat. While this may be a fairly unoriginal location to buy a Valentine’s gift, various scientific research suggests that females in general can be quite partial to cocoa-based confectionary. 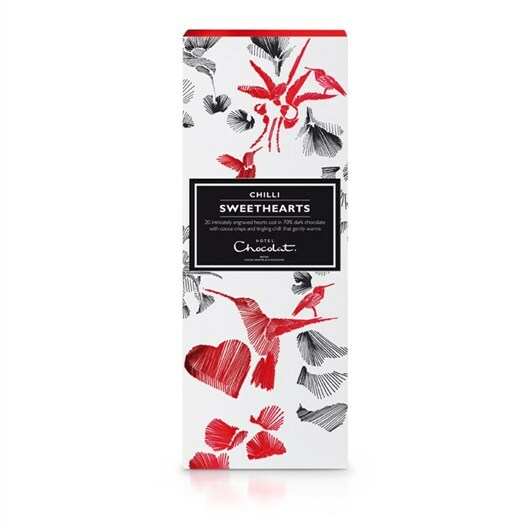 Chocolate, unfortunately, is often out-of-bounds for many with special dietary requirements, however these sweethearts are not only gluten and dairy-free, but have the added benefit of containing chilli – one of nature’s great aphrodisiacs! At various Hotel Chocolat outlets and here, where you can personalize it with a special message and request delivery for February 14th. Those of you hoping to receive this on Valentine’s Day can even drop a hint to your special one through their Nudge Nudge, Wink Wink feature. At only £7.50 a box, this “beautiful token of affection” will undoubtedly please your loved one without bankrupting you. Canadian ex-pat Mellissa Morgan, AKA Ms Cupcake, moved to London from Toronto through her theatre work in the mid-90’s. Soon identifying a lack of decent cakes for those with special dietary requirements, Mellissa decided to take action and set up her Vegan Bakery in 2010. Since then her team has worked tirelessly to produce gluten-free cakes of the same quality and taste of their ‘normal’ offerings, with resounding success. Valentine’s Day is always a busy time of year for the Brixton-based bakery, and this year they are featuring heart-shaped Valentine’s Day (and anti-Valentine’s Day!) cookies, delicate almond marzipan cookies and a variety of different cupcakes – all gluten free. Indeed, all their offerings are available gluten-free upon request. While their permanent base is in Brixton, all their offerings can be bought online, with personalised messages and Valentine’s Day delivery available. Individual cupcakes can be purchased for £2.60 each, but if you really want to push the boat out this year why not go for a 10″ 3 layer heart shaped cake for £53? Another chocolate based gift, impress your beau with this truffle selection box containing four romantic and decadent flavours: Fine de Champagne, Cherry Cognac, Kalamon Olive and Around Midnight Espresso. Made using organic cocoa produced in the Dominican Republic, these delicious truffles are a dream for those with special dietary requirements: not only do they lack gluten, dairy and soy – they’re also suitable for vegetarians. Online at the Chocolate Trading Co.
Each box contains a selection of 12 and retails at only £13.95, with the option of including a gift message for the object of your desire. When Ian was diagnosed with coeliac disease, he and nutritionist Deborah (like so many before them) were disappointed in the gluten-free alternatives available in the shops. The duo took matters into their own hands, becoming inspired when visiting free-from food fairs and meeting the number of small scale bakers, butchers, brewers and food stockists offering top quality, tasty produce. After pleasing friends and family with their baked gluten-free delights, in 2013 they began Gluten Free Baking & Living, ‘Go-To’ and ‘At-Home’ courses and a magazine aimed at teaching the elusive art of gluten-free baking. In two years their popular classes have gone from strength to strength. The introduction courses are perfect for anyone new to baking without gluten. For the more experienced gluten free baker there are bread and pastry courses. What sweeter Valentine’s gesture to your gluten-intolerant loved one than to accompany them to a gluten-free baking class, hone your ability to create endless gluten-free treats of your own? The courses run on weekends London and Harrogate from 9.30am to 3pm, with a full list of dates here. 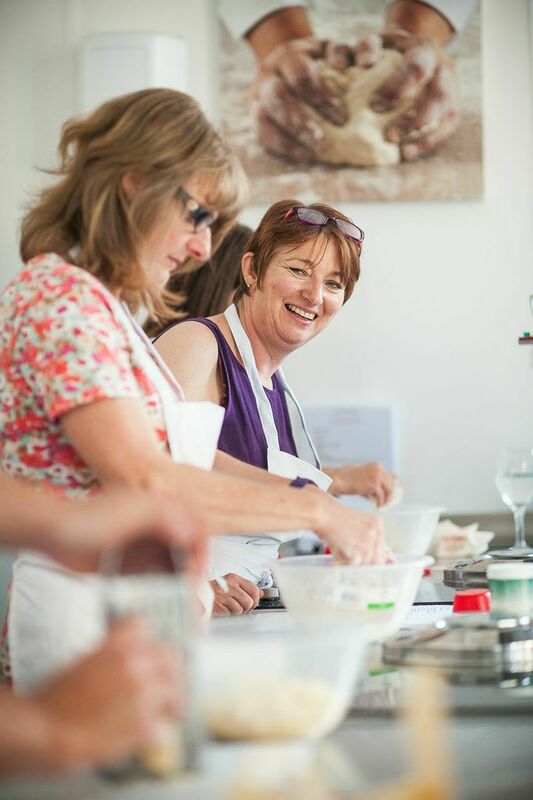 Priced from £100 – £120, not only will you learn how to bake a gluten free loaf of bread, pastry that doesn’t crack, savoury cheese scones and delicious, light cupcakes; you’ll also enjoy a lovely gluten-free lunch on the course. To buy any of the courses go here. Three grains are to be avoided if eating gluten free – name one of them. Entries close at 10pm on Wednesday, February 11th, with the winner announced on Thursday, February 12th.